Kathmandu, Pokhra, Sauraha, Thimpu, Paro, and more! 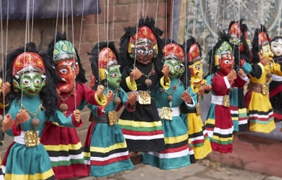 Nepal is one of the world's most popular adventures destination. You can visit Nepal to enjoy its natural beauty, rich cultural heritage, towering pagodas, spectacular Himalayan ranges with world's highest peak and more. Travel in Nepal is to convert your dream into reality. Bhutan, land of the peaceful Dragon, lies in a hidden corner high in the eastern Himalaya, sandwiched between Tibet to the north and the Indian states of Sikkim to the west, Assam to the south and Arunachal Pradesh to the east. The country within these borders forms a giant staircase, from the grassy floodplains and riverine forests in the south through semi tropical and alpine forests to some of the highest unclimbed Himalayan peaks on earth. 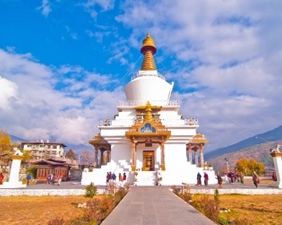 Nepal & Bhutan tour takes you to the core of rich culture, impressive history, unspoiled scenery and fascinating cities. 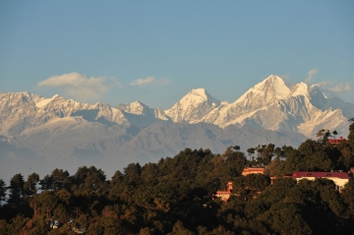 A gay group tour through Nepal offers plenty of variety and intrigues all travellers. From the birthplace of Buddha to the tallest mountain in the world, Nepal will forever have a piece of your heart. 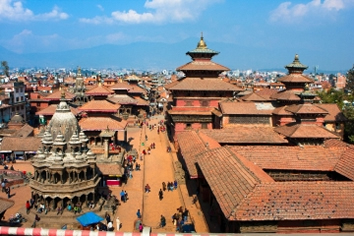 Discover Nepal’s capital, Kathmandu which is boundlessly captivating with various sights, sounds and smells and marvel at the medieval temples. Encounter Pokhara, a city which offers remarkable scenery, adventure pursuits and an abundant of food options. Visit the beautiful Chitwan, which is home to Nepal’s first national park. 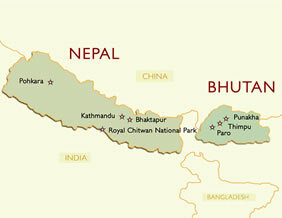 Prepare to be thoroughly impressed as you embark on a once in a life time adventure through Nepal & Bhutan. Breakfast at hotel and proceed for city tour of Kathmandu. Visiting Wayambunath Stupa: Swayambhunath is an ancient religious complex atop a hill in the Kathmandu Valley, west of Kathmandu city. It is also known as the Monkey Temple as there are holy monkeys living in the north-west parts of the temple, Patan City and lunch at local restaurant. Dinner at hotel. Breakfast at hotel and full day sightseeing covering Pashupatinath, Bodhnath Stupa, Bhaktapur City, Dakshinkali, Kirtipur, Chobar, Bungamati, Khokana. Lunch at a local restaurant and dinner at hotel. Breakfast at the hotel. Drive to Pokhara. In the 17th century Pokhara was a part of the Kingdom of Kaski which was one of the Chaubise Rajya (24 Kingdoms of Nepal) ruled by a branch of the Shah Dynasty. Pokhara lies on an important old trading route between China and India. Upon arrival, check-in to hotel. Lunch en-route and evening free for leisure. Dinner at Hotel. Breakfast at hotel. Proceed with City tour, covering Sarangkot, Devi's Fall, Bindebasini Temple, Pehwa Lake, Mahendra Cave. Lunch en-route and dinner at the hotel. Breakfast at hotel. Full day free time for individual sightseeing, relaxing and shopping etc. Lunch at a restaurant and dinner at hotel. Breakfast at hotel. Proceed to Chitwan National Park Lunch en-route. Check into resort. Free time then dinner at hotel. Breakfast at hotel. Enjoy jungle activities viz. bird watching, nature walk, elephant safari, Tharu dance, etc. Lunch and dinner in the hotel. Breakfast at hotel. Drive to Kathmandu. Check into hotel. Evening free to cruise around the market and do some shopping. Breakfast at hotel. Transfer to airport for flight to Paro. Meet and greet. Drive to Thimpu. Transfer to hotel. Sightseeing. Breakfast at hotel. 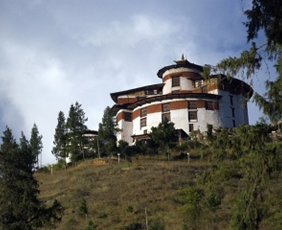 Full day sightseeing to The Memorial Chorten, The Folk Heritage Museum (Phelchey Toenkhyim) and The National Library. Breakfast at hotel. Today enjoy the Mountain Market and Lunch and Dinner at Hotel. Evening free for leisure. Breakfast at hotel. Morning drive to Paro (2 Hours). Check into hotel. Today visit Ta Dzong, Rinpung Dzong, meaning (“fortress of the heap of jewels”), Drukgyel Dzong, a ruined fortress where Bhutanese warriors fought Tibetan invaders centuries ago. Lunch en-route and dinner at the hotel. Breakfast at hotel. Transfer to airport for flight to Kathmandu. Farewell drinks and dinner in hotel. • 15 nights accommodation in 3 and 4 star modern and heritage gay friendly hotels with all facilities. Mountain flight in Nepal will cost USD 250, which is not included in the cost and can be purchased on on request. The mountain flight is of 1 hour and totally depends on weather.